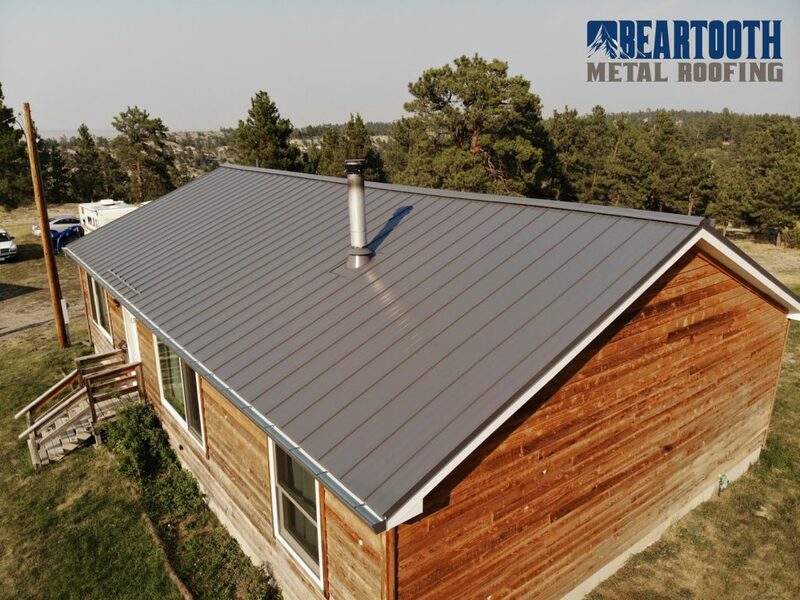 Here at Beartooth Metal Roofing, our goal is to provide the highest quality metal roofs for the city of Billings as possible. That means we go out of our way to ensure that our skills and our equipment are both up-to-date. The result is that you get a roof that is going to last for decades, and will be a piece of art on top of your home. If you’re on the fence about putting a metal roof on your house, consider the following three points. Note: we don’t recommend a metal roof for every single home in town. There are some homes that simply would be better served having a shingled roof on top. One of the biggest reasons you would want to put a metal roof on your Billings, MT home is to make it look spectacular. When installing a metal roof, we don’t cut corners. Only using the highest quality metal around, using state-of-the-art machinery that can bend that metal into perfect shapes, and using skills perfected over the past decade to quickly build your roof that’s going to look absolutely amazing. The end result: you have a work of art on top of your house that will increase the value of your home significantly. There are more reasons than just beautification to consider when you put metal on top of your home. One of the biggest concerns we encounter is the idea that a metal roof is colder than asphalt shingles. Just go outside in the dead of winter and touch a piece of metal… it’s incredibly cold! Fortunately, that cold doesn’t translate to a colder home. Instead, metal (when installed properly) keeps the cold out better in the winter, and it keeps the cold in better in the summer. The bottom line is that metal makes your home more energy efficient. You save money on your energy bills by putting a material on top of your home that uses less energy to produce. It’s a win-win all around! If having a beautiful roof that improves the value of your home, and the idea of lower monthly bills doesn’t sway you, then perhaps this will. Your metal roof is likely going to be the last roof you ever have to put on that home. Even if you live in the house until the day you die of old age, you most likely will never have to replace your new metal roof. In the words of Billy Mays, “But wait! There’s More!” Metal barely needs maintained. With shingles you may lose one in a wind storm. Shingles can lose the granules and wear out. Shingles peel up, and need maintenance. The nice thing about metal: none of that applies. A forever roof that needs no maintenance? Absolutely! Ready to get a new work of art on top of your home? Give us a call at 406-839-0084 and we can get the process started for you. If you’re worried about the cost, check out this post where we break down the number over the years to show how much cheaper a metal roof is over the years.